A junior staff member working for an aged care operator is concerned about their immediate manager’s conduct. Their concerns are in relation to the welfare of elderly patients, involving the dispensing of inappropriate medications and in some cases, the unnecessarily rough treatment of residents. The whistle-blower is apprehensive about approaching others within the management team due to the popularity of the manager in question. 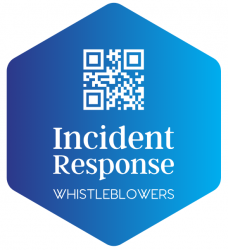 By having a ‘whistle-blower Policy’ in place, and adequate staff training on its use, the whistle-blower was able to confidentially report the matter by telephone to an independent call taker. This ensured that their concerns were raised and dealt with at the highest level of governance within that organisation.